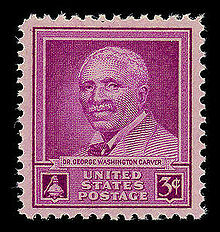 Today we went to Carver Day at the George Washington Carver National Monument in nearby Diamond, Missouri. Carver was born in Diamond and went to school in Neosho, so he's quite the local hero. He was born a slave and later became a scientist who promoted peanuts and other crops as an alternative to the overplanting of cotton in the south. According to Wikipedia the monument "was the first national monument dedicated to an African American and the first to honor someone other than a president." Pretty cool. There was another little Wikipedia section that I thought was awesome. Carver died in 1943, which was smack in the middle of World War Dos. So in a roundabout way George Washington Carver, with the help of peanuts, defeated Hitler. This may seem silly but I was impressed as soon as we parked. It was a hot day but the parking was nice and shady. There was a keynote speaker which I didn't find particularly interesting. State Representative Bill Reiboldt was on hand to give a speech and present an award as well. Probably the most amusing part of our trip was the class on how to make peanut milk. First you grind up the peanuts with a mortar and pestle. Then you add water and strain the solids. It instantly turns white as milk. We weren't allowed to drink it, but it smelled very peanutty. Apparently this was a life saver for babies in war-torn countries at the time. We hardly had the time or energy to even glance at the museum after all of the festivities, so we will have to make another trip sometime. Maybe in the winter when there will be less going on.